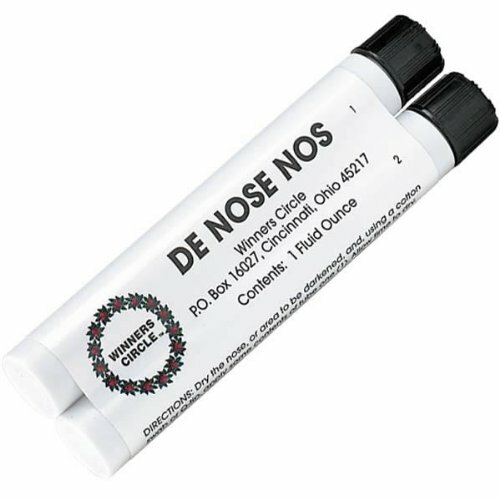 This de nose nos is used to blacken dogs noses in two simple steps. Just apply a small amount of product from the first tube, let it dry and then apply the nose blackener from the second tube. The nose blackener wont rub off or harm the dog in any way. Comes in 1-ounce tube.